PASTIC Sub Center, Karachi in collaboration with Central Library, Shah Abdul Latif University Khairpur organized a 3-day training workshop from 3-5 May, 2017 at Shah Abdul Latif University (SALU) Khairpur. A total 45 participants attended the workshop. 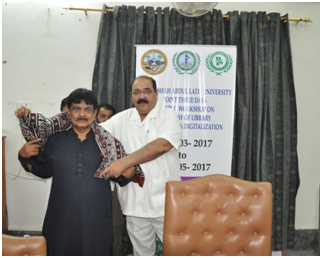 Prof Dr. Mumtaz Ali Mahar, Dean Faculty of Physical Science was the chief guest at the inaugural session.